Deans and faculty of the Schools of Engineeering worldwide gather annually. We helped curate this year's discussions around social impact aka #Peace Engineering; engineers' role in the UN Sustainable Development Goals; ethics and tech innovation; and introduced the tandem keynote, "Waging Peace through Commerce," with Time magazine's Hero for the Planet Bill McDonough and Kim Polman. They'd also launched Kim's book Imaginal Cells together at the World Economic Forum. Abstract: ...As a cross-disciplinary group of entrepreneurs, professors and professionals, we have developed an outline of one possible framework for the implementation of Peace Engineering. The purpose of this paper... is to encourage key contributors in the ecosystem of purposeful enterprise to engage with each other...to shape the requirements and co-create solution directions for a sustainable future. Keywords—Peace Engineering; natural ecosystem; engineering education; transforming engineers; technology’s role in the SDGs; industrial revolution 4.0; circular economy; systems thinking; WEEF-GEDC2018 Conference hosted by the University of New Mexico. The world says thanks for your timely demos of civic leadership. "Larry Fink, American BlackRock’s chief executive officer, the world's largest institutional investor which manages $6 trillion, made an unprecedented statement. He warned corporate giants that he is ready to stop investing in them unless they take responsibility for profits as well as the impact their actions have on both society and the environment. If they do not know how to do so, they can ask Elsie Maio for help... "
T.C. Lowrie at Business Partners Magazine interviewed Elsie just before her keynote at the annual Women in Business luncheon of the American-Hellenic Chamber of Commerce in Athens in December 2017. They talked about the relevance of corporate soul, breakthrough leadership and the outlook for new paradigm business. "Authentic corporate soul is the springboard to the next evolutionary step for business." In this twentieth anniversary year of the SoulBrandingSM System, Elsie also responded to T.C. 's questions about what the practical application of corporate soul looks in businesss, and the role of women in evolving a truly inclusive, soul-ful capitalism. "I am optimistic about women reclaiming their personal sovereignty. "In turn, everything is possible as women join with millennials in a critical mass of committed action for systemic wellbeing. Some of the most vibrant new paradigm businesses are born this way, including social-impact disruptors in major business sectors." Stay tuned for more on that in her upcoming book! Noting recent moves by TJX, the CMO of marketing company Harte Hanks quotes Elsie Maio on the practice of brand activism. It is an exponential shift for the identity of companies into something she calls SoulBranding℠ . A thought leader in this area for 20 years, she’s cited by [Phil] Kotler in his new autobiography for her of work in social-values-based corporate transformation. "it requires brands to embrace their heartfelt social role and look beyond financial gain and shareholder value. ...consumers today are demanding that brands be 'generous, generative citizens' that solve real world problems... like Patagonia and Unilever. "I hope the CEO is alert to the exponential value of the occasion. If so, TJX will use this opportunity to step ahead of the pack and launch the company’s authentic transformation as an agent of people’s wellbeing." One of the main barriers to corporate performance is a lack of clarity of how corporate goals and corporate strategy translate into employees’ roles – and more to the point, their consistent actions. more effectively support their boards. Elsie Maio, the CEO of Humanity Inc and Soulbranding℠ expert, had this to say: ‘It comes down to companies living their human values….Leaders use the power of social media to surface those shared values and engage customers. Organizations will make a quantum leap in trust and creative collaborations when they legitimize, and even celebrate, their motivating social values. These are the deeply held human and social impulses that move people to act in their own and their communities’ best interests.'" "How to inoculate your brand from political backlash: Interview with Elsie Maio"
The spotlight of political criticism is swinging in an arc, somewhat wildly these days. There’s no protecting from the vagaries of random public attention. The best way to ‘inoculate’ your business … is to strengthen your immune system from the inside out. Let’s be clear: CEOs cannot inoculate their companies from attention, nor from criticism. But they can be prepared to turn that spotlight to their advantage. There is really only one way to inoculate from the negative effects of criticism about not being a contributing citizen. That is to be a contributing citizen in the way that matters. [That also means] knit the CMO’s activities with the COO’s activities and make sure that they’re walking hand in hand. If you don’t, you’re vulnerable to every kind of attack—and you should be. There’s no way around this except to be authentic and tell the truth. "The Future of Brand America: Lessons from the Super Bowl and Beyond"
“The White House has politicized business and society. The degrees of freedom for US-domiciled business are under attack just as the degrees of freedom for an American citizen are under attack,” explains Elsie Maio, an expert on business values." Sales and marketing are based on trust, as any Girl Scout cookie salesperson will tell you, especially if her name is Charlotte McCourt: Charlotte has already sold over 7000 boxes of cookies. What is it about this social media story that resonates with us in this, an age of alternative facts, POTUS tweets, and fake news? "We see more and more companies seeking to have an impact on the biggest societal problems. These companies have a larger purpose than simple profit-seeking, and are increasingly seen as leaders in their fields. +Full article here: The Marketing Journal, January 2017, "Finally, Brand Activism!!" "Nearly 12 months ago, I dove into the investment ecosystem to survey from the inside the dynamics of the ‘sustainable investing’ trend...In short: While Wall Street is standing in its own way on this one, it is poised to break through to create a whole new marketplace. But it will require concerted change." In the February 2016 issue of Green Money Journal, Elsie shares five highlights from her journey and offers a call to action to those who would take a leading position in the emergent marketplace. In the Green Money Journal special issue on women and investing, Elsie weighs in on the investment community’s capability to use ES+G factors to reveal the potential for business to create thriving transformation for all. In the wake of Volkswagen’s multibillion-dollar emissions scandal, Elsie shares what went wrong and how the solution includes giving all employees a voice. She says that in terms of building consumer trust, "what’s going to continue to work better and better is the system of screening the congruence of what [corporations] say and what they do." 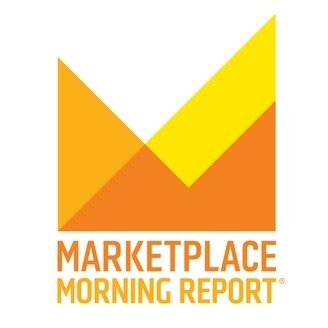 Listen to the interview to hear what Elsie shared with David Brancaccio and more than 10 million listeners on NPR’s Marketingplace Morning Report. "To all appearances, Kevin Parker is a no-nonsense, purposeful kind of guy. And his credentials in global institutional finance reinforce that image. And what he said in effect at the recent CSR Investing Summit was that the sustainability debate is over: 'What had been moral is now material.'" Kevin Parker is the CEO and Founder of Sustainable Insight Capital Management (SCIM), an investment firm, and has more than 30 years experience in the investment industry. He is interviewed by Elsie Maio, founder of Humanity, Inc and the SoulBranding℠ Institute. "Recently in New York City at the CSR Investing Summit, John Streur, President and CEO of Calvert Investments, was interviewed by Elsie Maio, founder of Humanity Inc. & the SoulBranding℠ Institute. John shared some news about a new strategic partnership and some upcoming product offerings." Very soon, women will hold 66% of the wealth in the US. What will they do with it? And who will help them? "It is always great to hear two very knowledgeable people having an engaging conversation, as is the case with this interview between two inspiring businesswomen. Amanda Steinberg is the founder & CEO of DailyWorth, the leading financial media company for women. She is interviewed by Elsie Maio, founder of Humanity, Inc and the SoulBranding Institute, which provides e-tools and business consulting for positive social impact." Elsie Maio, Founder of Humanity, Inc and the SoulBranding℠ Institute, contributed to a CFA Institute panel on generating practical approaches on how to increase the number of women in senior positions across the finance industry. She took part in a lively discussion with esteemed panelists Leah R. Bennett, CFA; Meredith A. Jones; Nelli Oster, PhD; Sarah Burley Reid; and Jocelyn D. Wright, MBA, CFP. The "Trust Gap" in Banking and in the News Media: Another buzzword or a crisis in the making? Elsie Maio guest-hosts this radio show for Trust Across America/Trust Around the World to explore "the trust gap" in the media industry and in financial services. She interviews the celebrated PBS television, APM public radio broadcaster and documentary filmmaker David Brancaccio, and Jason Apollo Voss of the CFA Institute's Future of Finance initiative. This show broadcast live from our Manhattan conference room (complete with the lively ambience of Midtown traffic!) on June 5, 2013 at 12 Noon Eastern. + Listen to the audio broadcast. + Watch the video version. "Elsie Maio, expert on organizational trust...counsels decision-makers how to thrive commercially while addressing the critical social needs of the communities they serve." "If you run an organization, or seek to influence one, it's useful to think of trust and its payoffs on a continuum. At one end are the since qua non, the Mechanics. You speak honestly, you do what you say, consistently, predictably. You get permission to engage. Further along, you are trusted for the Substance of who you are as an indicator of your intention. Each party experiences deep value, mutual benefit and possibly sustained relationship. "Elsie Maio (NYO 80-83), founder of Humanity, Inc and The SoulBrandingSM Institute, recently guest-hosted a 50-minute panel discussion, "Trust Across America," which focused on the 'trust gap' between business and the public." "Elsie Maio, founder of [Humanity, Inc formerly Maio&Co], even sees the fabric of corporate social responsibility (CSR) dissolving into the way business is done. No longer a separate activity performed by a specialized staff, "doing well and doing good" become one continuum of seamless performance. Doing good is not the residue of having done well in the past for a limited set of constituents, and doing well is turbocharged and creates resilience when informed by a broad view of mission and service. The tectonic plates of commerce and governance are shifting in directions that point to an integrated view of all operating environments." An Rx for BP’s recovery from the spill: steps toward social business, not a celebrity stint in rehab. Elsie is interviewed in the largest media market in the US, led by the witty, award winning journalist David Brancaccio. "As de facto transparency rules our world more and more, authenticity becomes the currency of all interactions that require trust. And so, the true motives of an institution will show; and the more authentically motivated an organization is to enhance the well-being of society through ethical and socially responsible activities, the more trusted and I believe preferred it will be by all stakeholders." SoulBrandingSM for Small Business: Live the L Word! At the Dakin Business Group seminar, Elsie spoke with her neighbors about how their deep caring for customers was their natural source of innovation and advantage in the tough economic microclimate of Santa Fe, New Mexico. Branding experts say jokes that the iPad sounds like a feminine hygiene product won't keep women or men from buying the Apple tablet. "Elsie Maio (NYO 80-83), president of branding consultancy Maio & Company, is featured in a recent article in the European Bahá'í Business Forum. In the article, 'Elsie Maio: Values Visionary Sparking Integral Change in CEOs and Self,' Maio talks about what it means for a company to align its identity and strategy with human values, and why her research shows that companies who follow that model outperform those who don't." "Values Visionary Sparking Integral Change in CEOs and Self"
In this first installment of an extensive, intimate interview, branding expert and business strategy advisor Elsie Maio talks about what it means for a company to put the well-being of humanity at the center of its identity and strategy, and why those that are doing so are finding great success, joy and fulfillment. Live broadcast interview by Rhea Goodman draws out examples of Maio's pioneering push toward Humanity, Inc.SM: in building cross-sector collaboration in Bermuda, transforming an Emmy award-winner into a social-impact enterprise, and empowering executives to resuscitate their 'feminine' brains for corporate innovation. Elsie’s keynote speech at Athen’s Corporate Achievement Awards as reported by EBBF cites the Global Digital Demos as a self-organizing force driving the 'humanization' of business, with cases. EBBF's comments were in response to the script of our speech summarized here. McKinsey Alumna in the News on "Feminine Business"
Alumna Elsie Maio interviewed on the trend toward 'feminine business;' and on the timely advantages of using social values as criteria for today's critical business decisions. Elsie Maio details the immediate value of human values in today's roiling economy, with current examples, including Continental Airlines, and Jumpstart which produces the PBS weekly news show NOW with David Brancaccio. + Go to e-version of the article "Religion in the Office"
Elsie reveals the new trend toward the 'feminization, not the womanization, of business today,' in this interview by pan-media journalist and work-life expert Judy Martin. Elsie discusses how "The City Different" could rally its renowned scientific- , entrepreneurial- , and cultural capital with the 3rd Sector to hone its place in the sun for the long term. In her Keynote speech at the LOHAS Conference, Patricia Aburdene, best-selling futurist and author of Megatrends 2010, urges her audience to learn about "brand guru Elsie Maio's" practical steps to integrating the social values people care about with their companies' high-performance goals. "In Elsie Maio’s view, 'brand' permeates all aspects of the corporation and therefore the values of the brand can serve as an effective touchstone for all corporate behaviours: in the Boardroom, in financial markets, in negotiations with employees, in customer interactions, in dialogue with other stakeholders. Moreover most corporations already have 'plumbing' in place (the organizational substructures and processes to manage their brand), that can serve as effective conduits for nurturing values-driven behaviours and measuring them." What happens to the Martha Stewart brand if the domestic stylesetter winds up crafting curtains behind bars? Can the company survive, now that its namesake is no longer at the helm? Elsie Maio weighs in. More than a name, logo or "iconic" CEO, a brand is a place in the heart where employees, investors, suppliers--and Conscious Consumers--meet to tell a company's story, says brand guru Elsie Maio: "When brand reveals authenticity, values and humanity's drive towards consciousness, it's a powerful strategic advantage." Best selling futurist Aburdene interviews Elsie Maio on the leverage available to management in self-auditing the corporation's values -- and on other bottom line outputs of the SoulBrandingSMsystem. In his book, A Branded World, the author Michael Levine interviews Elsie Maio, the pioneer in strategic corporate branding, for a peek at coming trends. Maio believes that companies that authentically appeal to “the soul” will eventually be the rule, rather than today’s exception, as the public increasingly demands moral and community responsibility from the brands it patronizes. Our definitive piece on the radical challenge to the practice of branding at the dawn of a new era of participative markets. Published in 2003, it anticipated the subsequent trends in Corporate Social Responsibility, 'Sustainability', Citizenship, and Ethics - and goes beyond to predict the essential alignment with blended values that will drive corporate credibility, innovation and the well being of the planet. The filmmaker Vern Oakley cites "branding guru, Elsie Maio" in describing the challenge that authenticity poses to today's CEO. She says, "It's like dancing the tango while leading the orchestra!" Journalist David Liss interviews Maio in this article on best practices in ethical communication. Elsie emphasizes the essential connection between corporate authenticity and full-blown values audits. SustainAbility Ltd invited us to comment on their branding edition of Radar. We think the US has a lot to learn from certain progressive guidelines adopted 'across the Pond'. But at the same time, business in the US has a chance to jump the learning curve by embodying authentic social values, not simply adopting a set of de rigour 'sustainable behaviours,' or CSR initiatives only loosely connected to the core of the business. In the late 1990s, we first warned that wrenching social and economic trends would drive a new wave of corporate accountability. Today, the wise CEO addresses these and captures greater economic value by building practices around a set of values that blend high performance and social well being. In this prescient interview by David Womack, Elsie Maio hurls a broadside at the Sustainability movement! She demonstrates how ‘CSR,’ ‘Sustainability,’ ‘Corporate Citizenship’ are a collection of commonly agreed behaviors. But they are not coherent, essential drivers of corporate decisions. The only reliable driver of an authentically socially responsible corporation is an honored set of social values that live through all its decisions. The SoulBrandingSM system is both a barometer of such authenticity, and a beacon for where it can lead. Socially responsible investors are committed to 'put their money where there values are'. Shining a light through the dynamics of corporate branding, Elsie Maio outlines an innovative framework to reveal the authenticity behind the Brand. By the same token, values-driven brand managers use this SoulBrandingSM roadmap to tighten the alignment of company behaviors with company values. She cites cases of The Body Shop, Novo Nordisk, among other leaders on this new path. "Drucker + Maio = long term sustainable, strategic differentiation." In this article, Professor of Strategy David Beatty pairs Elsie Maio with Peter Drucker, the father of modern management. Both argue for a more comprehensive humanistic value system at the core of a company's strategy. A leading European business journalist, Reint Gaastra, interviews Elsie Maio about "her visionary concept of SoulBrandingSM" - a framework for integrating society's higher values into the corporate persona - and the relationship of business with the growing group of influentials who are actively striving to balance material rewards with socio-spiritual fulfilment. Deepak Chopra, Elsie Maio, the innovation expert Trevor Davis, the futurist Jim Taylor and several other "brilliant" thought leaders shared a panel on emerging paradigms, in a conference held at the brink of the Millennium. The sponsor, Architecture magazine, reports on Ms Maio's contribution. This article urges CEOs to anticipate global society's emerging appetite for 'meaning' , and to authentically re-align corporate decisions with the innovative, 'soulful values' that motivate all their stakeholders. Its origin was Elsie's Keynote Address to the 10th Annual Corporate Identity Conference of the Design Management Institute, in Montreal, way back in 1998. Humanity, Inc is the successor company to Maio and Company Inc. © 1997-2019 Humanity, Inc SoulBrandSM, SoulBrandingSM, Being the BrandSM are service marks of Humanity, Inc 1997-2019.